GARDEN CITY, NY--(Marketwired - Apr 21, 2015) - The largest and longest running private academic plastic surgical practice in the nation, Long Island Plastic Surgical Group (LIPSG), is beginning a 10-year partnership this year with U.S.-based non-profit organization ReSurge International, to help transform lives by restoring the health and dreams of those with deformities and injuries repairable through surgery. ReSurge International -- previously known as Interplast -- provides access to reconstructive surgical care for poor individuals in 13 developing countries. The non-profit has the ability to improve almost all scenarios repairable through plastic surgery -- from cleft lips and deformed hands to debilitating burns. LIPSG will support the ReSurge / Long Island Plastic Surgical Outreach Program in Ecuador, where ReSurge's local team of physicians provides surgical care year-round for clefts and disabling burn injuries. LIPSG physicians will also work with ReSurge to help transform lives by not only contributing financially, but by providing surgeons and medical staff for surgical team trips and visiting educator trips to Ecuador. 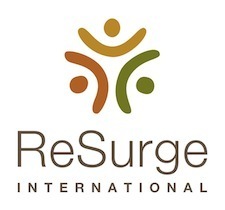 For LIPSG, supporting ReSurge International's work is entirely in line with the Group's mission of providing high-quality, compassionate surgical care to patients. "Long Island Plastic Surgical Group is honored to have the opportunity to partner with ReSurge International to help ensure high-quality reconstructive surgical care in Ecuador," said Dr. Roger L. Simpson, LIPSG President. "Through this multi-year partnership, we are extending our humanitarian commitment internationally. As a result, children and adults with congenital deformities or disabling injuries who live in remote or under-resourced areas will receive quality care and live healthy, productive lives." Dr. Thomas Davenport, a LIPSG surgeon and partner, is a member of the board of directors at ReSurge International, and for several years has been a medical volunteer with the organization. "As a volunteer with ReSurge for many years, I have seen the significant impact reconstructive surgery can make in the lives of the patients and their families," said Dr. Davenport. "To help repair a cleft palate so a child can go to school or a disabling burn so a father can return to work is a life-changing experience -- for the families and for the medical volunteers." ReSurge International has supplied more than 105,000 free surgeries on a total of four continents since its founding at Stanford University in 1969. The organization also creates surgical capacity by offering training and support to local doctors for sustainable medical care for years to come. ReSurge's vision is a world in which no one suffers physically or emotionally from an injury or congenital deformity repairable with surgery. "ReSurge is enormously grateful for this new partnership with Long Island Plastic Surgical Group and its commitment to support our work changing lives through surgical care over the next ten years," said ReSurge President and CEO Susan W. Hayes. "The doctors with the practice have a long legacy of excellence, and we look forward to them not only supporting the work our partners are doing in Ecuador, but sharing their expertise by helping to train local medical professionals and providing care for children and adults who need it most in the developing world." Learn more about this partnership and how you can get involved at www.lipsg.com/resurge/. Having offered comprehensive surgical care for 65 years, Long Island Plastic Surgical Group (LIPSG) is the longest tenured private plastic surgical practice in the country. The team has over 250 cumulative years of surgical experience and is committed to offering the latest in cosmetic and reconstructive surgery. The practice operates through nine Centers of Excellence: Breast and Body Cosmetic Surgery; Non-invasive and Surgical Facial Rejuvenation; Skin Care and Age Management; Facial Reanimation and Peripheral Nerve Repair; Burns and Complex Wound Management; Breast Reconstruction Surgery; Pediatric Plastic and Craniofacial Surgery; Post-Weight Loss Cosmetic and Reconstructive Surgery; and Microsurgery and Hand Reconstruction. The surgeons at LIPSG are available for interview upon request. For more information about LIPSG, the practice can be reached online at lipsg.com or facebook.com/longislandplasticsurgeons.